I've got a wicked sweet tooth which is why I'm always littering about, trying to come up with new ways to stay away from a box of doughnuts! I give you my latest, chocolatey, smooth, amazingness jammed with a monstrous 39 grams of protein per pudding!! Mix together the quark and protein powder until smooth. Split the mix into 2 bowls and mix the cocoa into one of the bowls. Layer the puddings a couple of spoonful's at a time alternating between chocolate and vanilla. 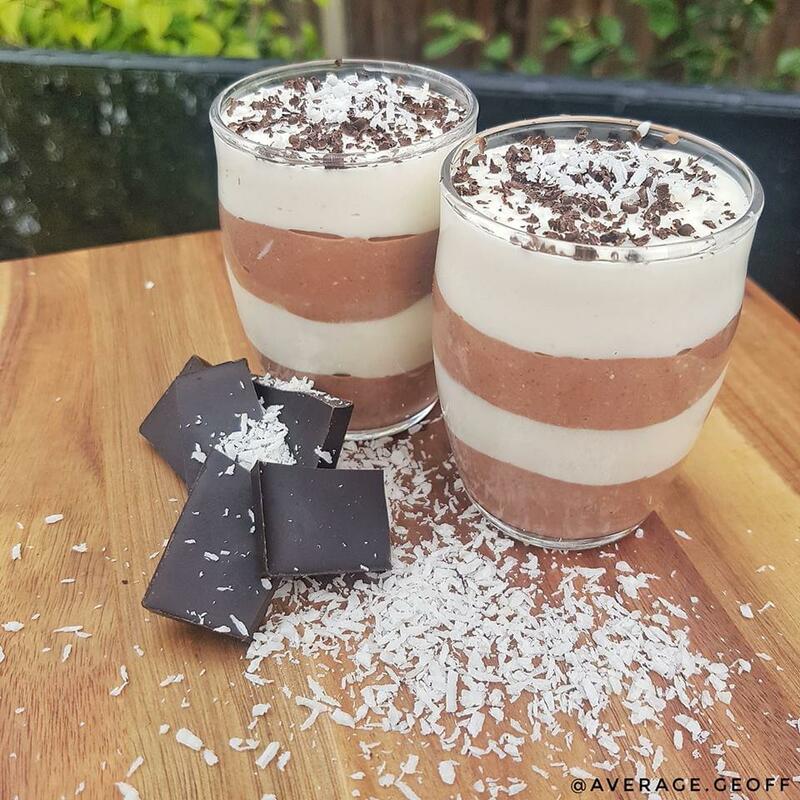 Top with some dark chocolate & coconut shavings or desiccated coconut and pop them in the fridge to firm up a little for at least 30 mins.